Pamplin Media Group - Eric Reed Anglin, Sr.
March 7, 1952 to April 26, 2018: Eric was a man who could fill a room with laughter, sit quietly in comfort, and listen with a keen ear. Eric Anglin went to be with the Lord on the 26th of April 2018. He was a vibrant, energetic, beloved man who passed peacefully in his sleep while visiting his extended family in Indiana. Eric lived his life in ministry to others. 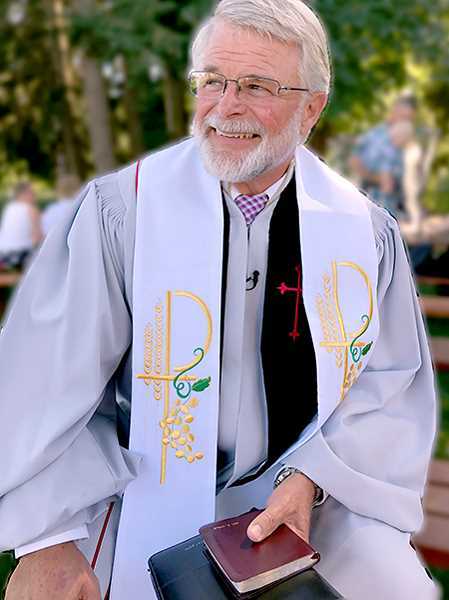 He served as a pastor in the Free Methodist and Friends churches, engaged young people with his creativity, and called on the elderly and the sick with love and kindness. Eric valued his time serving the young people of Woodburn High School, working for years on staff to reach out to youth from all walks of life. He was a man who could fill a room with laughter, sit quietly in comfort, and listen with a keen ear. He is survived by his children, daughter Lorinda Compton (Eric), daughter Joy Dalmon (Cyril), son Eric Anglin Jr (Nicole), son Cameron Anglin (Bethany), son Andrew Delacy (Brianna), six grandchildren, and his dear friend Lagea Preuit. He will be deeply missed by his family and many friends..
A celebration of life will be held at 3 p.m. on May 13, at the North Valley Friends Church, 4020 N College St, Newberg Oregon. Reception to follow.